"Vaccine hesitance is one of the most perplexing (and urgent) phenomena in contemporary health... [It] has profound implications for public health, medicine, social work, and also the issue of narrative competence—how do vaccine-hesitant parents parse health information to inform their decisions, and how can healthcare professionals effectively respond to false narratives about vaccines and health? "Our group demonstrates that an interdisciplinary approach to these questions leads to an understanding of vaccine hesitancy that is theoretically nuanced, scientifically accurate, and grounded in the lived experience of vaccine hesitant people and the healthcare providers who are responding to this problem." 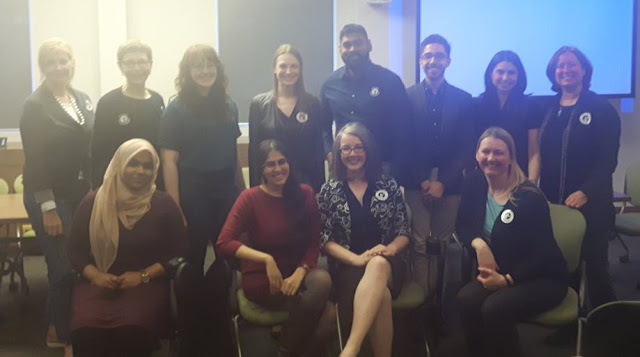 In addition to a mind-expanding reading list, the best thing about being a part of this group is the chance to have a long-running conversation with fellow PhD students working in very unfamiliar languages and cultures: epidemiology, immunology and public health. 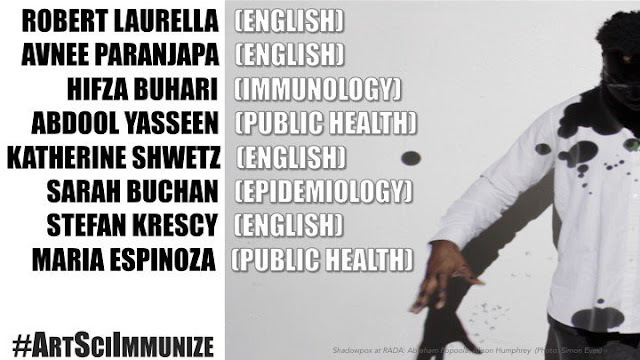 It’s made me realize that immunization, at its core, is a deliberate action to get acquainted with "foreigners"!